If you’re thinking of having a synthetic grass sports pitch built, you have probably thought a lot about the question ‘How much is astroturf?’ This is a tricky question to answer because the prices tend to vary for each project, depending on loads of different factors. You need to consider your own budget, design requirements and the amount of space you have available for the facility. Each of these has an effect on the astroturf costs so it’s important to look at every possible option. 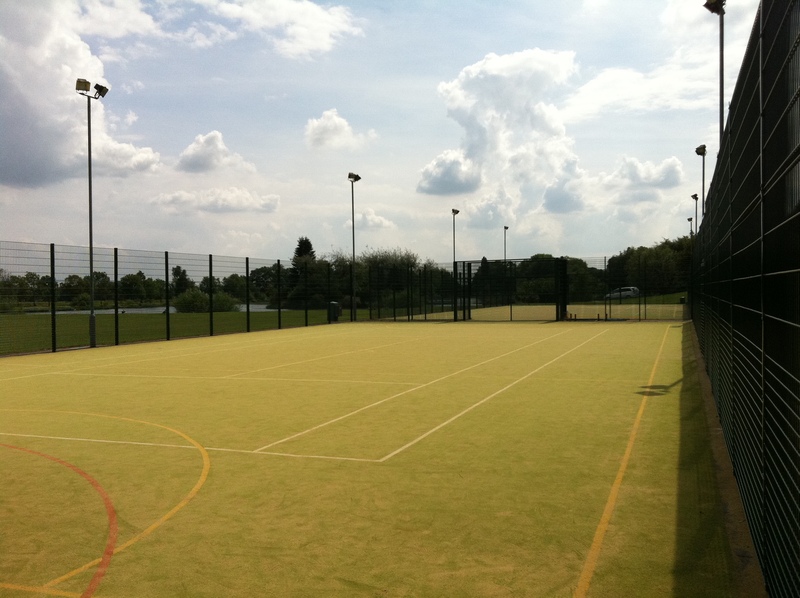 Many organisations in the UK, such as schools and sports clubs, have been upgrading their sporting facilities with synthetic astro turf. This is often because natural grass pitches have become worn out over time, leading to them being waterlogged, muddy and potentially unsafe. The costs of maintenance for natural grass are usually high because it requires mowing regularly. They also struggle to withstand heavy use, particularly in wet weather, meaning that they’ll start to get muddy quite quickly if they’re used every day. The fake turf specifications are designed for use in all weather conditions, but what are the costs of an all weather pitch? 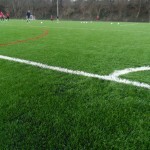 Although artificial sport surfaces can be expensive to install, they are generally more cost effective in the long run. This is because they require less maintenance, can be used much more frequently without becoming damaged, and can be rented out to other teams and organisations to generate extra revenue. Depending on what kind of surface you decide to install, they can also be used for a range of activities and sports. 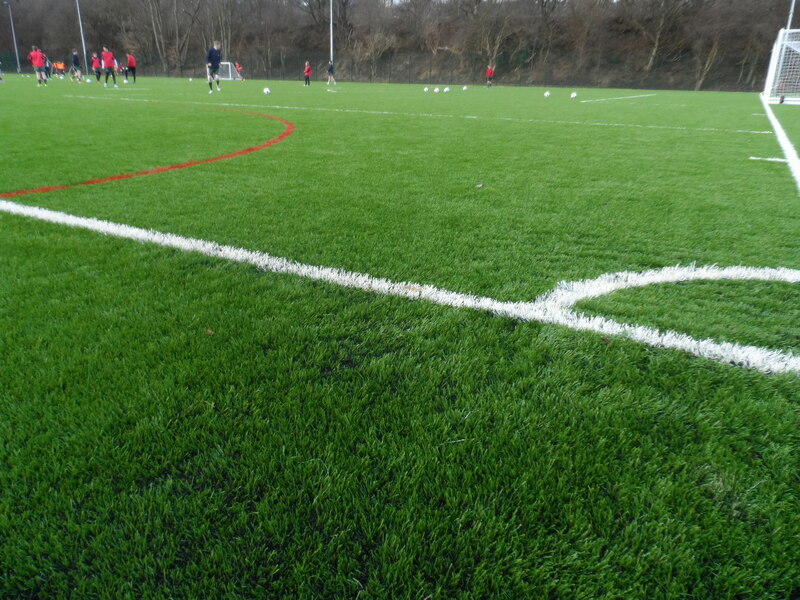 3G – Designed to replicate the appearance and playability of natural grass, this is installed with a sand and rubber crumb infill which makes it perfect for football and rugby. 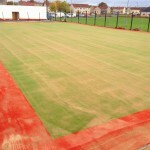 2G Sand Filled – This turf is infilled just with silica sand, and is commonly used for playing football, hockey and tennis as well as general multisports. 2G Sand Dressed – Has a shorter pile height and contains a lower amount of sand infill which is just spread across the top of the grass. 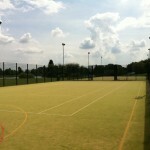 Perfect for facilities which are mainly used to play hockey. Multisport Synthetic – Also known as needlepunch, this is the most versatile artificial turf specification and is available in a choice of bright colours. It is designed with a curly yarn which encapsulates its sand infill, making for a durable multipurpose surface. The playing qualities are perfect for a general multi use games area including football, basketball, tennis, hockey and other activities. 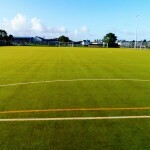 As you can see, each of the astroturf specifications has its own individual qualities. This means that the prices between them will vary as they are all totally different products. We would recommend deciding on what sports and games you want to use the facility for before you choose the turf design. This will ensure that the final product is going to be best suited to your school, college, leisure centre or club. Having an idea of your budget beforehand is also helpful as we can use this to recommend the most cost effective option for you. Some other variables which can massively affect the prices for a synthetic grass pitch are the site location and area size. We are often asked ‘How much is astroturf?’ but there are a few things we will need to find out before we can provide even a rough estimate. Where is your project? – Our team works nationwide in the UK, however your site location will have an effect on the overall price of the job. If the installers have to travel a long distance, there will be costs for things like fuel and accommodation which need to be added in. What are the size and dimensions? 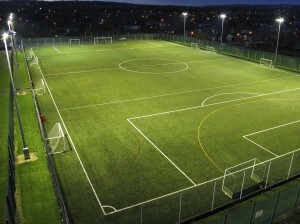 – If you want to install a full sized 3G football pitch, this will obviously require a lot of materials and time on site to complete the groundworks and installation. Projects like this on a huge scale will of course be much more expensive than a smaller 5 a side MUGA. The area size is a really important factor that we have to consider when planning any sort of astroturf installation. For bigger projects which take longer to install, there will also have to be more accommodation costs for our staff, so it does make a big difference. Depending on what type of surface you choose, and the overall design of your project, prices can vary massively. The construction process for an astroturf pitch usually tends to follow a similar pattern, however there will be individual differences for each installation. First we will excavate the existing area and prepare the groundworks before applying the required sub base. This could be either a stone or macadam sub base, but it’s dependent on the type and size of facility. 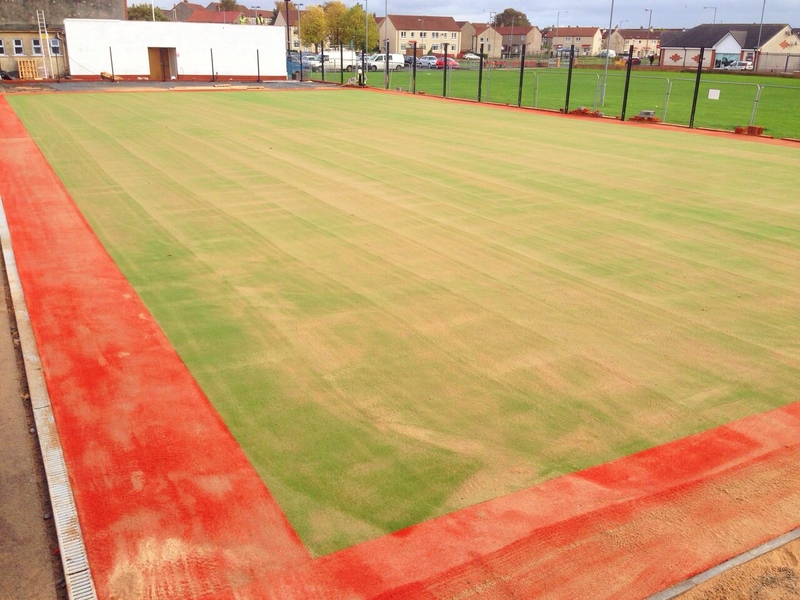 Then the artificial turf carpet will be installed on top, with the infill and line markings applied after that. In some cases we will also include a shockpad underneath the turf carpet itself. This is designed to reduce injuries by cushioning players’ joints and absorbing and impact from falls. For 3G surfaces being used for rugby, the shockpad is required, but we often recommend it for use with others sports like football as well. Some clients choose just to have the sport surfacing installed on its own, however we are often asked to include a number of extra features. These could be things like fencing, floodlights, goal ends and additional equipment. As these components come in different specifications, the costs and prices for them will also vary. For example, a small primary school multi use games area might only require chain link fencing, whereas a competitive standard football pitch would need a stronger rebound fence. The same applies for all of the other equipment, so we’d advise thinking about which specifications would be most cost effective for you. If you’re just looking to install a simple recreational pitch, you probably won’t be too concerned with the top governing body standards. Of course all of our installations are compliant with the relevant safety and performance qualities; however larger, competitive standard facilities can be designed to meet requirements from organisations like FIFA and IRB. 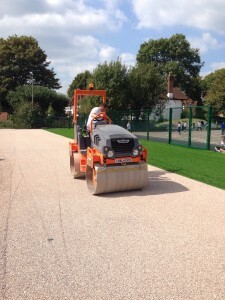 The governing body approved products can be more expensive so if you don’t need it for your particular facility, the specifications can be altered in order to reduce the astroturf costs. 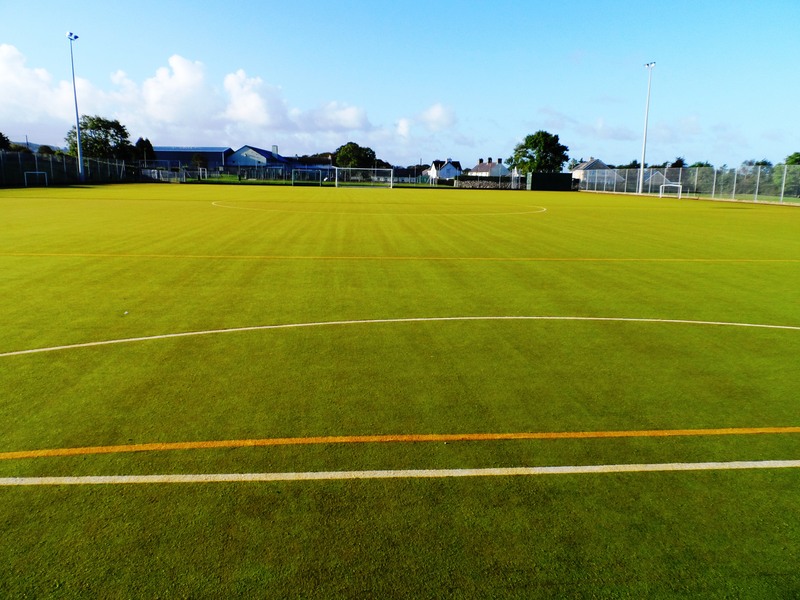 If you are uncertain about where to start with a sports pitch installation project and you’re still wondering ‘How much is astroturf’, please feel free to get a quote from our team through the contact form on this page. As you can see there is not one set price or rough guide for the synthetic turf costs. Every installation is totally different as there are so many variables to think about. From the type of astro turf and the site location, to the area size and existing ground quality, loads of factors will have an effect on the end price. Our experts will discuss your budget, sports you want to play, required playing standards and site conditions. We have worked with countless schools, community sports clubs, colleges and leisure centres to design and install bespoke sport surfaces. As specialists in the industry we’d be happy to send you some case studies of our work, as well as offering our professional advice on specifications and prices for what you need. So don’t hesitate to get in touch with us today if you’d like a quote for the astroturf costs which is completely tailored to your project. Please also share this article if you have found it useful, and leave a comment below if you’d like to ask any questions about what we do.